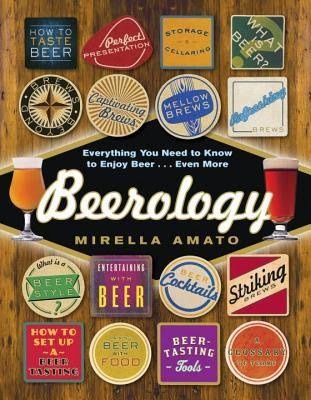 From Goodreads ~ If you’ve ever experienced the pleasure of a pint, "Beerology" is the ultimate guide to exploring, understanding and enjoying the world of beer. There is a beer for every mood, food and occasion. And, with the growing number of beer festivals popping up worldwide, beer is finally getting the attention and appreciation it deserves. For the average beer lover, the overwhelming choices, brewing styles and traditions can be confusing to say the least. Enter beer specialist Mirella Amato - one of only seven Certified Master Cicerones (beer sommeliers) in the world. With an advanced brewing certificate behind her, readers will be in expert hands as they navigate the multifaceted world of beer, guided by Amato's refreshingly accessible style. 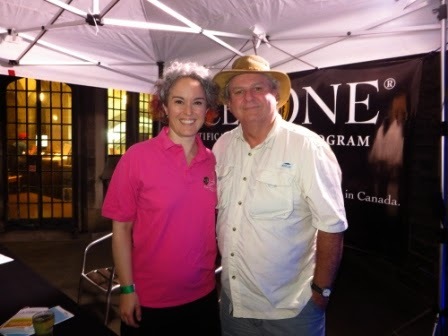 I met Mirella through Gord ... he took some workshops led by her a couple years ago. We ran into her last night at the Hart House Craft Beer Festival and chatted a bit about this book. I like beer and it sounded interesting so I thought I'd check it out. Glossary and tools - a glossary of terms, an evaluation sheet, beer flavour wheel, etc. As I said, I like beer but my tastes tend to be for more mild beers. 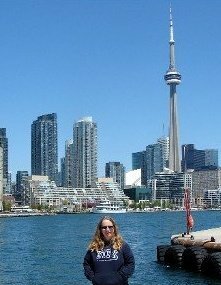 Gord, on the other hand, love love loves beer and enjoys trying and writing about different beers (so far he's done 246 Beer of the Weeks). This book is good for a novice (like me) ... I liked the writing style and found that everything was explained in terms I could understand. It also would be of value to more experienced beer lovers/drinkers who want to learn more. I can see Gord using this as a reference book as he tries and evaluates beers of the week. If you are a beer lover, you should check it out. I like beer, I don't love it, but I would still like to read this. Thank you for making me realize there is a book about beer written by a Canadian. As a home brewer and someone who loves craft beer, this'll be added to my list!